Yet in 2013, the parallel left Democracy Now! Productions media firm accepted a $750,000 [equal to over $811,000 in 2018] grant from Bill Moyers’ Schumann Media Center, Inc. foundation, according to the Schumann Media Center, Inc.’s Form 990 financial filing for the year beginning Jan. 1, 2013 and ending Dec. 31, 2013. The same 2013 Form 990 financial filing also indicated that Moyers’ previously Montclair, New Jersey-based Schumann Media Center, Inc. (which used to operate first under the name “Schumann Foundation” and, subsequently, under the name of “Schumann Center for Media and Democracy” prior to 2011) now had its principal tax-exempt foundation office located in Suite 715 at 250 West 57th Street in Manhattan. And, coincidentally, the office of Democracy Now! 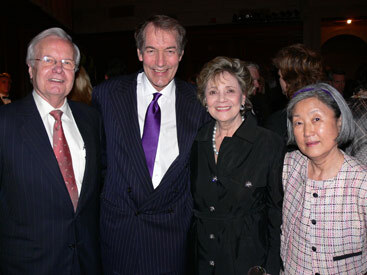 Funder and long-time Schumann Foundation/Schumann Center for Media and Democracy/Schumann Media Center, Inc. President Bill Moyers’s Public Affairs Television, Inc. firm was also located at 250 West 57th Street in Suite 718--on the same floor as the Schumann Media Center, Inc.’s principal office. Yet besides giving the parallel left Democracy Now! Productions media firm a $750,000 “charitable grant” between Jan. 1, 2013 and Dec. 31, 2013, Moyers’ Schumann Media Center, Inc. also gave a “charitable grant” of $301,139 [equal to over $325,000 in 2018] to the parallel left “Institute for Public Affairs”/In These Times magazine media firm, a “charitable grant” of $295,000 [equal to over $319,000 in 2018) to the parallel left Nation Institute/The Nation magazine media firm, a “charitable grant” of $93,250 [equal to over $100,000 in 2018] to the parallel left Foundation for National Progress/Mother Jones magazine media firm and a “charitable grant” of $250,000 [equal to over $270,000 in 2018] to help fund the parallel left Common Dreams website, during this same period. In addition, between Jan. 1, 2013 and Dec. 31, 2013 another “future” $103,125 grant to Foundation for National Progress/Mother Jones magazine was also authorized in a vote by the Schumann Media Center, Inc.’s Board of Trustees. 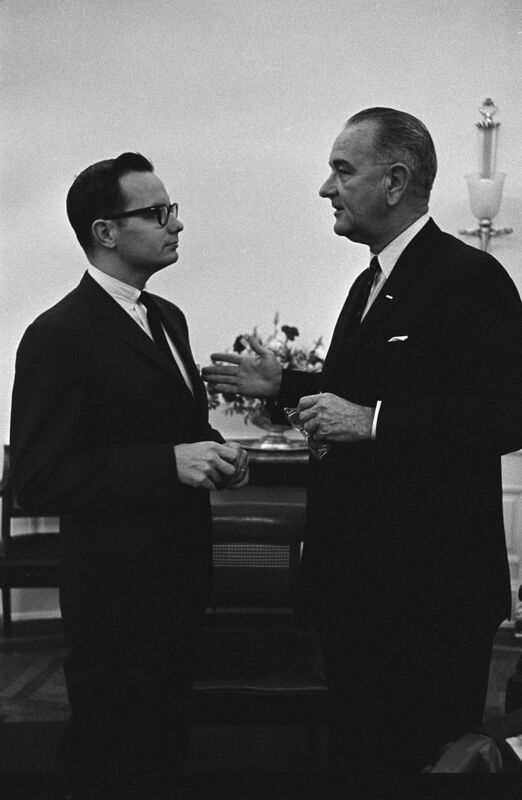 Long-time Schumann Media Center, Inc. foundation president Moyers used to be Democratic President Lyndon B. Johnson’s Special Assistant and White House press secretary during the Vietnam War Era of the 1960s. So, not surprisingly, between Jan. 1, 2016 and Dec. 31, 2016 Democracy Now! 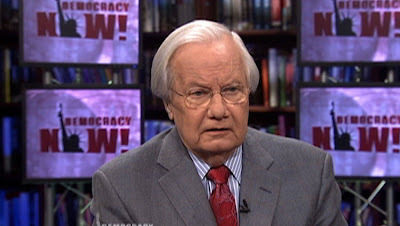 funder Moyers’ Schumann Media Center, Inc., besides giving an additional $250,000 “charitable grant” to Democracy Now! 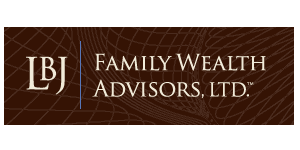 Productions, also, according to its 2016 Form 990 financial filing, gave a $100,000 “charitable grant” to the Texas-based Lyndon B. Johnson Foundation—whose board of trustees includes, coincidentally, Luci Baines Johnson, the founder and limited Partner of LBJ Family Wealth Advisers. “On Dec. 31, 1983, the Schumann Foundation’s portfolio contained $34 million [equal to over $86 million in 2018] in corporate stock, including $1 million [equal to over $2.5 million in 2018] in Philip Morris stock. Other companies in which the Schumann Foundation invested in 1983 were IBM ($14.6 million), GE ($1.7 million), Nabisco ($1.2 million), Standard Oil of Indiana ($1 million), Exxon ($882,000), Johnson & Johnson ($817,000), and Atlantic Richfield ($756,000). And according to its Form 990 financial filings from the late 1990s, only a few years before Democracy Now! received its first grant money from Moyers’ Schumann Center for Media and Democracy/Schumann Foundation, the Schumann Foundation was still investing in environmentally destructive energy corporations like British Petroleum (2,000 shares of stock), Columbia Gas Systems (5,000 shares of stock), Conoco, Inc. (4,200 shares of stock), Pioneer Natural Resource Company (10,200 shares of stock), Royal Dutch Petroleum Company (10,000 shares of stock) and Shell Transportation and Trading Company (10,000 shares of stock), as well as in automobile corporations like Ford Motor Company (12,500 shares of stock). When Democracy Now! Productions! 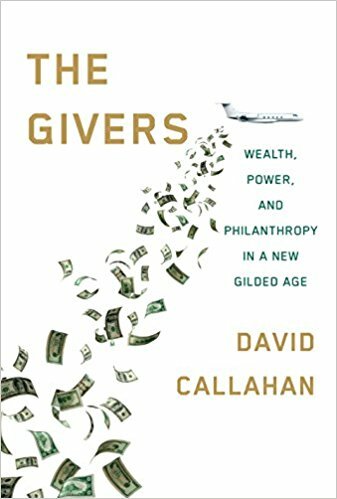 was given a grant of $300,000 [equal to over $350,000 in 2018] by the Schumann Center for Media and Democracy in 2009, Bill Moyers’ foundation was still obtaining its grant money by either obtaining dividends from the corporations it owned stock in or selling some of the corporate stock of corporations it had been given or purchased in previous years. For example, in 2009 the Schumann Center for Media and Democracy earned $988,640 [equal to over $1.1 million in 2018] in “dividends and interests from securities” it owned; and, during that same year, it obtained $11,401,043 [equal to over $13.3 million in 2018] from the sale of a portion of shares of stocks it had owned in corporations (like Dell, Bank America, Wells Fargo, ConocoPhillips, Marathon Oil, Sara Lee, General Electric, Dow Chemical, Time Warner, Yahoo, Delta, Borg Warner, Best Buy, Gannett and Microsoft, etc.) at the beginning of the year, according to the Schumann Center for Media and Democracy foundation’s Form 990 financial filing for 2009. 41. 1,100 shares of Bank NY Mellon stock—worth $30,767.